“Vinayak Udyog” is a New Delhi based firm engaged in manufacturing, supplying and Exporting exclusive range of highly qualitative range of Polythene Packaging Material and Poly Zip Lock Bags. 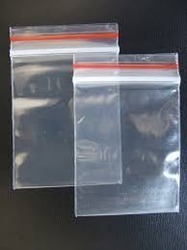 Our product range includes Medical Zip Lock Bags, Coloured Zip Lock Bags, Transparent Zip Lock Bags, Zipper Poly Bags and Designer Zip Lock Bags. Since 1985 our unrelenting and dedicated spirit has kept us going on and serving the society with a solution driven in the direction of achieving good range of packaging material. Under the proficient management of Mr. S. P. Haldia, our insightful mentor, we have reached the pinnacle of growth and success and have made a position for ourselves that is of high esteem and prestige. Keeping pace with the modernization induced time to time, in the industry, we have brought about the modern machinery and testing materials that enable us to manufacture flawless products.